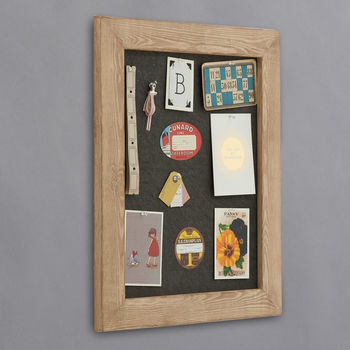 Distressed Wood Framed Pinboard Noticeboard. These noticeboards are framed by hand in substantial and beautiful 6cm wide and 2.5cm deep distressed wood, using traditional framing methods. The amazingly tough boards are made from 100% recycled newspaper (saving 100 million newspapers per year!). 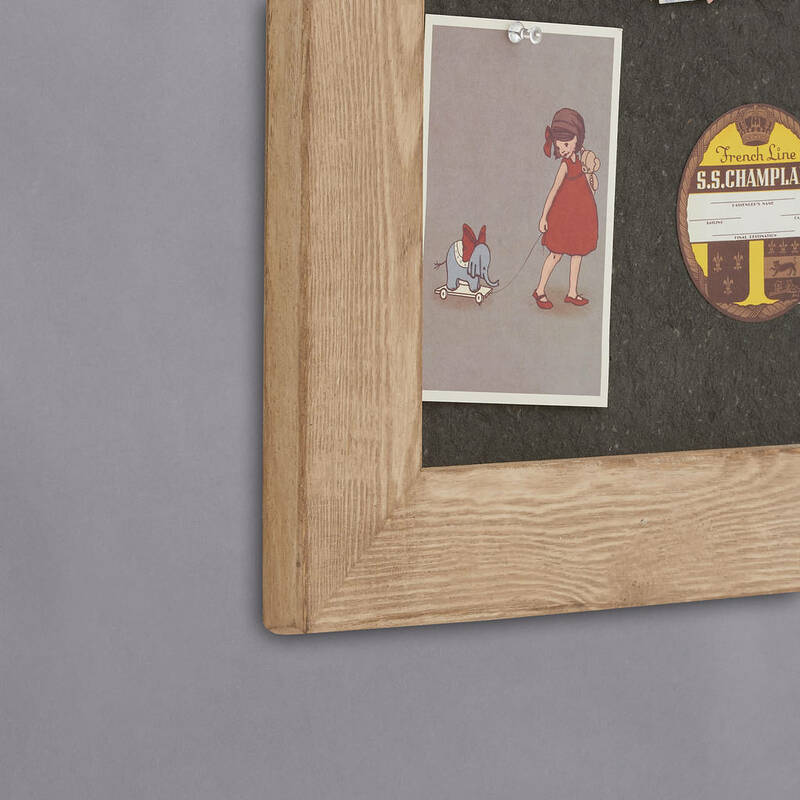 The manufacturing process gives the boards a tactile and soft finish similar to suede and they're finished in either light grey or charcoal (main images), which act as a stylish blank canvas. Great for keeping track of things to be done and things you'll be doing and for ideas and inspiration. They can also double as your own piece of changeable artwork! Available in four sizes, the frames can be hung in either portrait or landscape (comes with fixings and some clear pins to get you started). 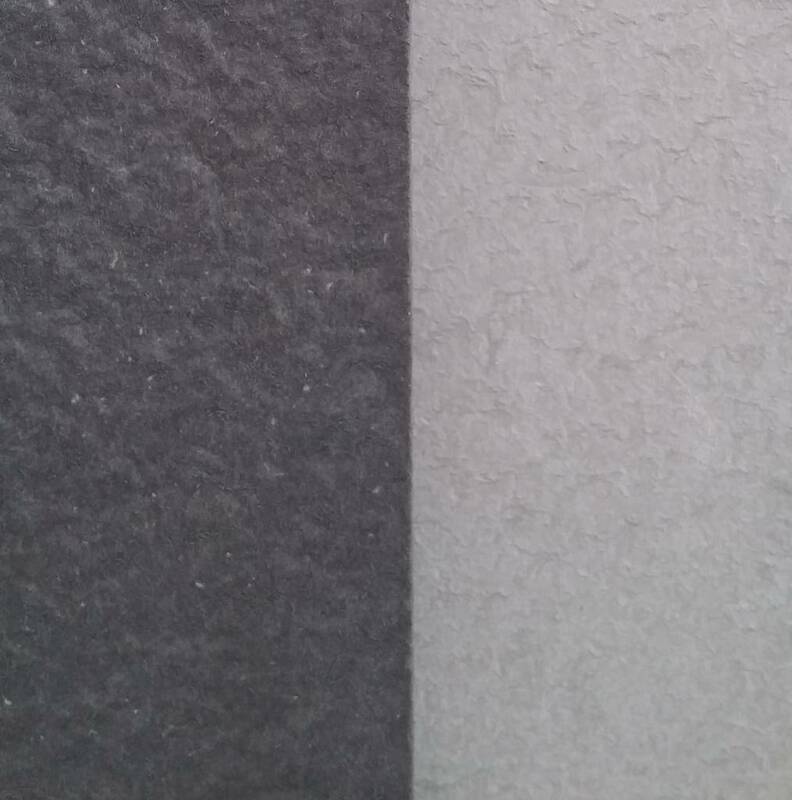 *The board shown is the Medium.